New film named Dunkirk has officially announced it will be released Summer of 2017. 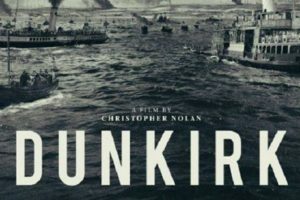 Directed by Christopher Nolan, the story takes place in World War 2 in the Dunkirk Evacuation. The Dunkirk Evacuation was the evacuation of allied soldiers from the British Empire, Belgium, and France surrounded by the German army on the beaches of Dunkirk. This film has been getting much attention for reasons not being related to the historical background but because of the familiar face in the new trailer that was released. One Direction’s Harry Styles. Having such a famous person on a film can have its pros and cons. Pro: the box office will sky rocket making tons of money because teenage girls who love a band member will want to see Harry Styles in a different environment and see one of his other many talents, besides singing. Con: Many people will be watching the film only because of him, and the film may not get the recognition it deserves. The portrayal of events that actually took place in history will not be recognized so greatly as it should be because teenage girls will be focused on how ‘cute’ or how ‘hot’ Harry Styles will look in combat clothes. This will be an environment that he’s never been seen in before. Hopefully he will convince viewers that he cannot only rock the stage and sing but can also act and entertain, making teenager fangirls forget he’s known for being in a boyband and actually intrigue them into the movie. Hopefully teens and people of all ages will be entertained as well as learn history from it.